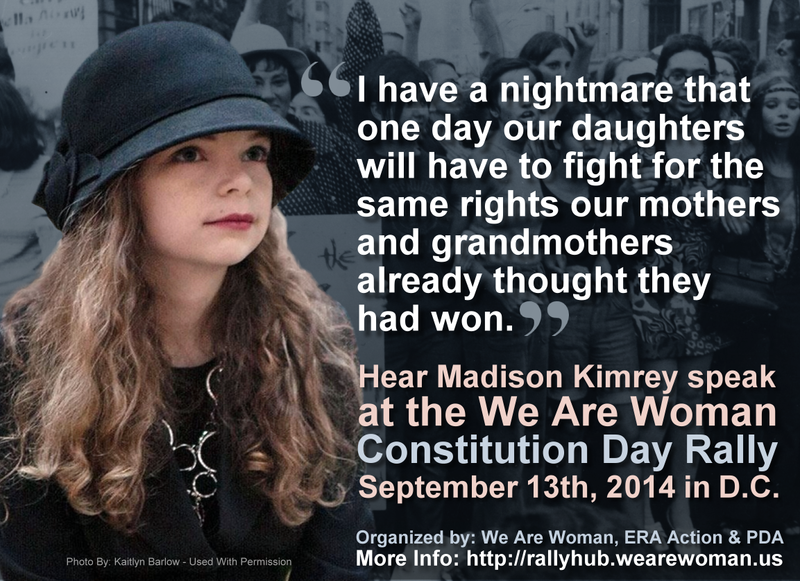 Teen activist Madison Kimrey will be one of the speakers at the rally! Madison Kimrey is a 12-year-old student, actress, writer and activist, fighting for women’s rights, LGBT rights, humane treatment of animals, and promoting youth activism and participation in democracy. Below is one of Madison's better known speeches.